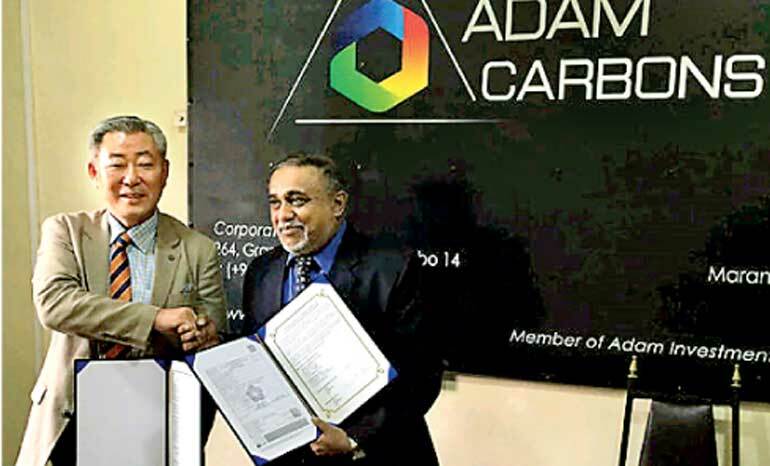 Adam Carbons Ltd. has signed a Memorandum of Understanding with Kooks E&C Ltd., Seoul Republic of South Korea, for the purpose of a joint venture for rice husk carbonisation on 6 May. Kooks E&C Ltd. is a diversified group of companies based in Seoul Republic of South Korea and a manufacturer of electrical motors and generators and a wholesaler of non-specialised goods of food and agriculture, chemicals and energy. This venture permits Adam Carbons to diversify its product range into high value-added products with a strong export market.